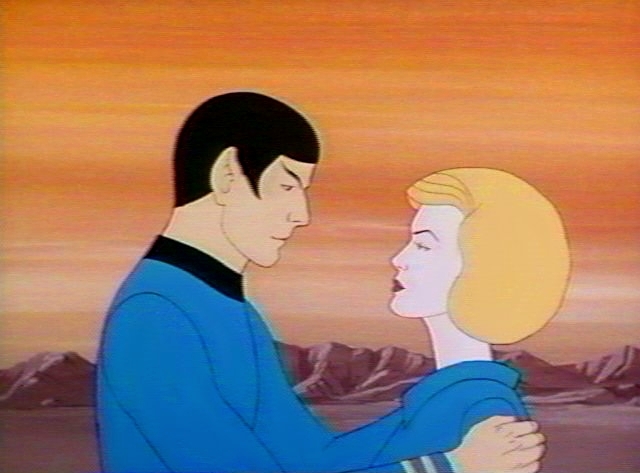 Animated STAR TREK - "Mudd's Passion"
Harry Mudd is once again apprehended and incarcerated by the U.S.S. Enterprise crew, after trying to sell love crystals. Mudd abducts Nurse Chapel and briefly escapes to a rocky planet in a stolen Enterprise Heavy shuttlecraft, but he is recaptured and sentenced to an indefinite period in rehabilitation therapy for violations of the Federation pharmaceutical code, including fraud, illegal drug manufacturing, swindling, and transport of a dangerous life-form (a Rigellian hypnoid). PSA epilogue for "Mudd's Passion"
Harcourt Fenton "Harry" Mudd was seen in this episode and was originally seen in the original series episodes "Mudd's Women" and "I, Mudd". 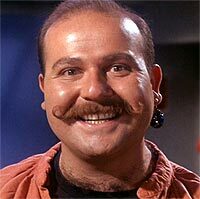 Actor Roger C. Carmel (pictured) reprised his role of Harry Mudd by providing the voice of the animated Harry Mudd. 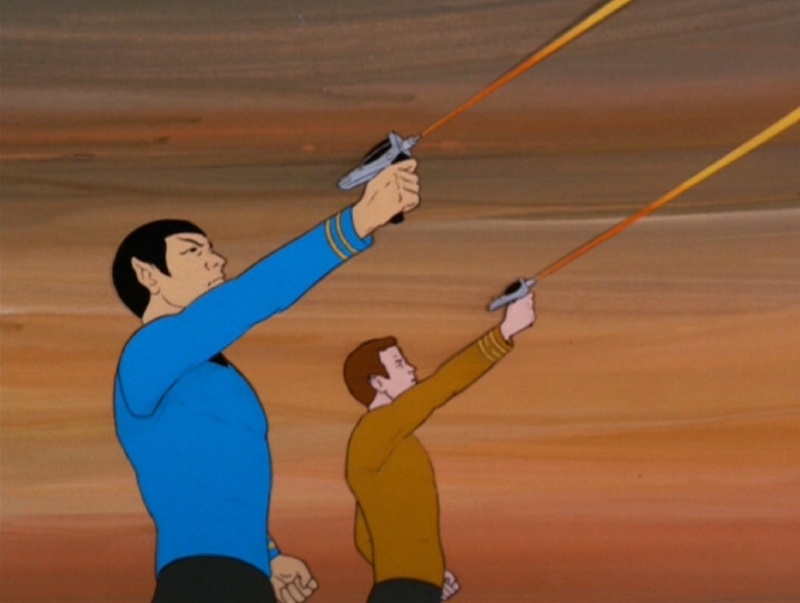 This episode's writer Stephen Kandel wrote another animated STAR TREK episode "The Jihad". Kandel also wrote the two Harry Mudd episodes of the Original STAR TREK series, "Mudd's Women" and "I, Mudd" to which this episode was a sequel. Transporter Chief Kyle appeared in this episode sporting a mustache, but he did not have dialogue. 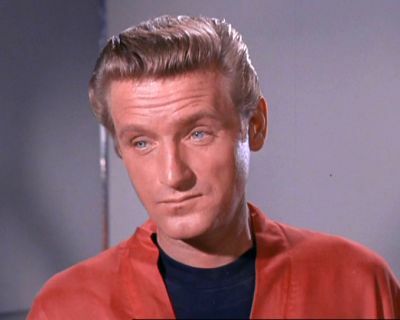 Lieutenant Kyle was first seen in the original series episode "Tomorrow is Yesterday" and was portrayed by John Winston (pictured) in ten original series episodes. When visiting unknown planet surfaces or when dangers are anticipated, Starfleet regulations mandate that Type-2 pistol phasers be carried by all landing party members. These are far more destructive than Type-I hand phasers. This episode featured two new life-forms. The ursinoids were bear-like humanoids who were seen as heavy metal miners on the planet Motherlode and the Rigellian hypnoid which was an illusion-casting lizard-like being that Harry Mudd used to deceive potential customers. This episode featured the dramatic rampages of two immense rock creatures. These non-sentient beings had hard, tough brown hides, three-fingered claws and giant maws with sharp teeth. They were over 100 feet long, appeared like rocky mounds when at rest and were very resistant to phaser fire. There is a page in this site devoted to the Heavy Shuttlecraft used by Harry Mudd and Nurse Chapel in this episode. 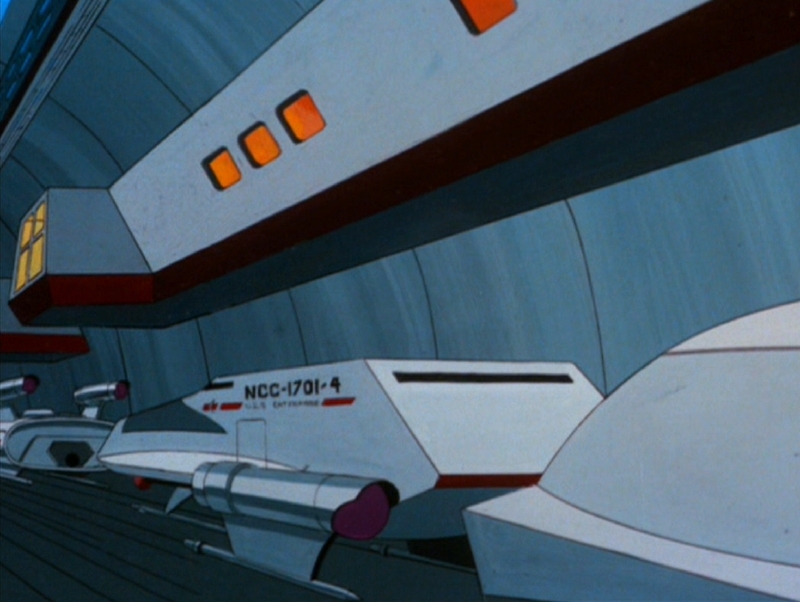 A scene in this episode showed the interior of the Enterprise hanger deck. 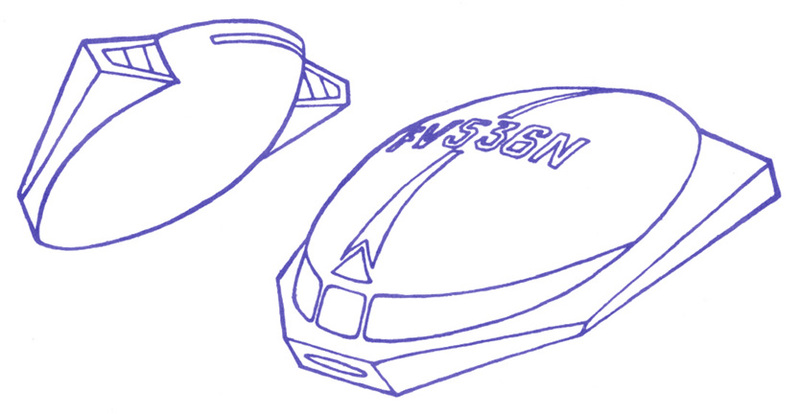 Visible at the extreme right of the large compartment was a small scout ship (pictured) with a rounded foresection that was designed for the animated series but not used in any episode. This scout ship was also seen in the hanger in "Once Upon a Planet". There was a visual error in this episode: one scene showed Nurse Chapel wearing a uniform with a black collar. Another visual error in this episode showed Spock with his insignia on the wrong side of his tunic. This episode had a very large role for Nurse Chapel, who usually had very little to do in both the original and animated series. "Mudd's Passion" was novelized by Alan Dean Foster in Star Trek Log Three published by Ballantine Books in January 1975. Also novelized in the book was "The Magicks of Megas-Tu" and "Once Upon a Planet".